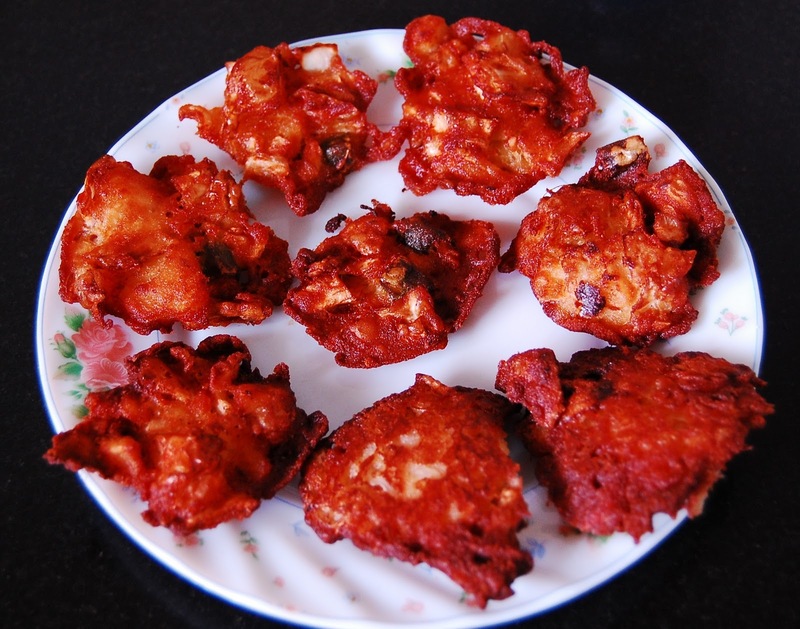 Cabbage Pakoda serves as a great snack to munch on in the evening while sitting together with family and friends, and most of the time the pakodas are cleaned off the plate at lightening speed within minutes of its serving. 1) Boil the cabbage for 10 minutes and drain the water. 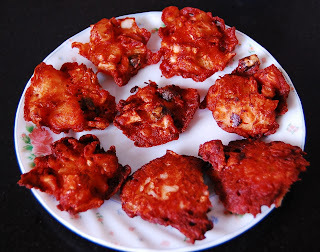 2) In a bowl, mix potato, cabbage, rice flour, bengal gram flour, ginger paste, green chillies, dry mango powder and salt, and make a batter of thick consistency adding water as little as possible. 3) Heat the oil in a frying pan and spill a spoonful of batter into the smoking oil. Deep fry it till it turns crispy and golden brown.